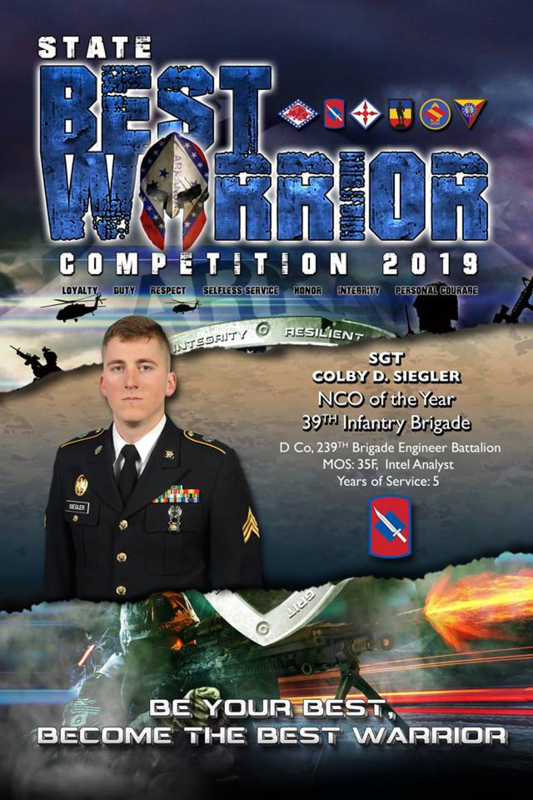 Colby Siegler won the 2019 Arkansas Non-commissioned Officer (NCO) Best Warrior Competition! The week long competition selects the most outstanding NCO in the state to represent the Arkansas Army National Guard at the Regional level competition and eventually the National level competition. The competitions consist of military boards, medical lanes, weapons qualification, mystery events, ruck marches, and physical fitness tests. He has won the company, battalion, and brigade level competitions and will be headed to the Regionals! Way to go Colby!